Tag Archives for " Brendan Yong "
How does someone decide to buy a product or service? This is answered by the customer life cycle or sometimes called the Buyer’s Journey. The sale is made when a buyer goes through three key phases: Awareness, Consideration and then Decision. In the Awareness phase, a buyer starts from being problem aware to researching about their needs and then setting up priorities for their purchase. In fact, you’ll be surprised that “57% of the purchase decision is complete before a customer even calls a supplier”(CEB). This means that they would be doing their research online, with reference to influencers, and authorities on the topic before they even make an inquiry. Therefore, the most important way to reach out to potential buyers in the awareness stage is to be there when they are researching by having an online presence either by SEO, paid online ads or content marketing (and importantly Re-Targeting). The goal is to get potential buyers into your mailing list by offering them access to information (e.g. ebooks or whitepapers) or tools (e.g. assessment tools). Once they “Know” you and are in your mailing list, you can send them educational material and progressively profile them with Marketing Automation, to discover their fears, problems and priorities. When they start to engage with your content regularly, they are starting to “LIKE” you. In the Consideration phase, the buyer has shortlisted a few possible solution providers, and may be doing additional research. How would you stand out at this stage? The answer is authority and social proof. Authority can be inferred when you are quoted in industrial journals, influential blogs, and media interviews. And social proof can come from solid Case Studies and good client testimonials. This is the time when the potential buyers start to “TRUST” you. When the potential buyer eventually makes an enquiry, can you offer a way for them to “TRY” your product or service? This gives them an easier way to assess the value of your product or service and lowers the risk of them making a wrong decision. This could come the form of samples, free demos, free consultations, one-dollar-trials, money-back guarantees etc. You could also provide assessment tools or gap analysis reports to help them to see how your solution can best help them achieve their goals. A finally in the Decision phase, how can you help the buyer ease into the buying process? Just making it convenient to “BUY”, can actually help you close more sales. For example: providing installment plans, discounts, free perks from partners etc. The stages KNOW, LIKE, TRUST, TRY, BUY are the first 5 phases of the Duct Tape Marketing Hourglass. To get potential buyers to know you, you post blog articles and run ads on facebook targeting at a specific demographic that you want. The viewer lands on your conversion optimized landing page with rock-star copy-writing, and downloads your eBook, becoming a lead. In addition, the lead explores your website, downloads more content, gets progressively profiled, and subscribes to your newsletter. IF the viewer does not opt-in, you can re-target them with different ad copies on Facebook or websites they are likely to visit (using Google Re-targeting on Display Network) until they become a lead by opting into your list. To get your lead to like you, you give away valuable content via emails that helps them in meeting their goals. The content you send are not salesy but educational, in multi-media formats: article, infographics, videos, images. You also invite them to your facebook page, where they can see more edutaining content you post. You know they are ready to move to the next stage because they have been opening your emails, clicking links, watching videos, visiting specific web pages. (you can achieve this with lead-scoring via Marketing Automation). IF the lead is not engaged yet, try sending them material relating to a different pain point. Sharing successful case studies from actual customers, and social proof in the form of high ratings, positive reviews, and even video testimonies go a long way in establishing trust. The prospect now sees your services through the lens of happy clients. The call-to-action at this point is to invite the prospect to “TRY” your service or product. In this instance, the prospect is invited to join a webinar, where they are expected to request for a FREE gap analysis report. 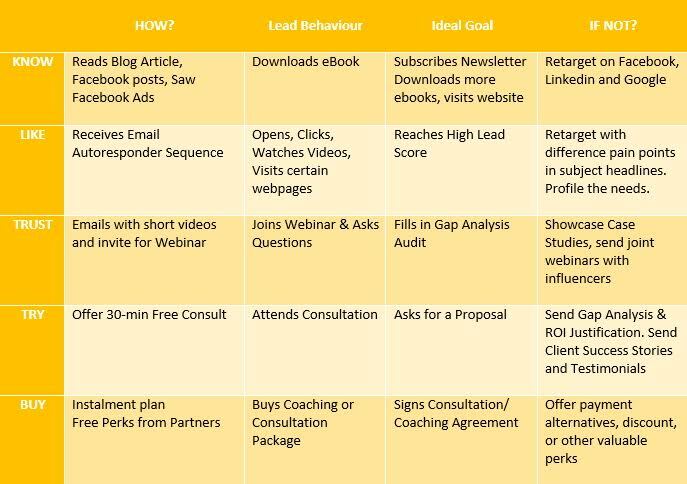 IF the lead attended the webinar but did not take up the free gap analysis report, you could send them a self-help assessment tool, with more case studies, or endorsements from influencers. After the report is generated, the prospect is invited to a complimentary 30-min consultation to go through the report, highlighting the gaps and potential for improvements. This allows the prospect to experience your expertise as a consultant and evaluate cost-benefit of engaging your services. The ideal outcome of this stage is for the prospect to request for a proposal. IF the prospect attended the webinar but did not take up the free gap analysis report, you could send them a self-help assessment tool, with more case studies, or endorsements from influencers. Three days after receiving your proposal, you schedule a follow-up call to explain the process of engagement. The prospect is happy with the proposal and signs the consultation agreement contract, and makes the first payment. You enter into the project fulfillment stage. IF the prospect did not accept the proposal immediately, there could be 2 reasons: “Price” or “Unsure of the ROI”. You could offer more favorable payment terms, throw in some freebies, make a limited offer discount, reduce the scope or send them more justifications from customer success stories and testimonials. All these follow-up actions require a coordinated marketing effort, diligent follow-up. Marketing Automation ties up all these activities by adding rich information about prospects as they interact with your content, setting up tasks and reminders, sending them personalized messages according to their pain points and priorities. In the “Know-to-Like” stage, an email campaign sequence comprising of articles, videos, infographics are sent to the lead. Each activity: video watch, email open, visit to pages, answering of surveys, completing quizzes, joining the facebook group etc are tracked and scored. Once a predetermined engagement score is reached, the “Like-to-Trust” sequence can be launched. In the “Like-to-Trust” sequence, the prospect is invited to a webinar, where they will be offered a free gap analysis report, and a free 30-min consultation to run through the report. Reminders are sent to the prospect 3 days before. If they missed the webinar, we would send an email with the links to the replay and the gap analysis form. We could also get a sales rep to give them a call to get some feedback, further qualifying the prospect. In the “Trust-to-Buy” sequence, the prospect attends the consultation call, which ends up with 2 possible outcomes: (1) they ask for a proposal (2) they say they are not ready at the moment. Automation can be set according to the outcome, setting up a task for the proposal to be sent for (1) and sending them follow up or down-sell a self-serve product for (2). To know which part of the buyers’ journey the prospect is at is crucial the lifecycle marketing strategy. Marketing Automation is almost always essential for lead nurturing, lead scoring, profiling, personalization, and other analytics to measure the level of engagement, and triggering the offer at the right time. 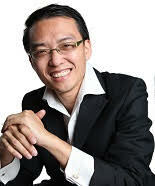 Brendan Yong is a Duct Tape Marketing Consultant specialized in marketing automation based in Singapore. His company Empathi Solutions helps Asia-based clients build Marketing Systems to Grow Predictable Revenue using Infusionsoft CRM as the primary marketing automation tool. The first thing that most people do when they have a question nowadays is to “Google” it. In fact, that is the way many people research the product or service that they are buying. It’s the dream of many small businesses to appear on the 1st page of a competitive search term or “keyword” ahead of their competitors. So pay attention to know how to optimize your website for search engines like Google, Bing and Yahoo to find your business. Generally speaking there is off-page and on-page optimization. Off-page optimization essentially relates to having more back-links to your website. On-page optimization refers to what you can do on your own website. If you have keyword themes for your online search strategy, create landing pages such as: one for the main theme (keyword), one for competitor terms, one for each pain point you are trying to solve, etc. By breaking them up into different pages, you not only keep the page uncluttered, concise and easy-to-read, but also potentially be able to rank well on each of those terms. 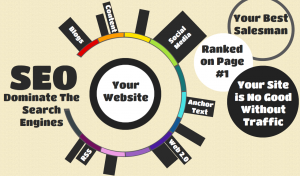 Having more optimized pages, also means that more of your pages could end up on 1st page. One of my SEO expert partners dominated the first page of search results with high-quality pages containing the main keyword term as well as the other keyword themes, effectively “blocking” out their competition. Remember to use hyperlinks to link pages within your website (internal links) with relevant terms to improve search results as well. Google robots will navigate from one page to the other and index your pages, checking the quality of content. This will boost the quality of your central pages (mostly the main navigation bar items: Home, Contact Us, About, Services, etc). The choice of anchor texts (what text is seen by the viewer as they click on the hyperlink) can also give you an additional boost. Google has listed performance and experience as one of the factors in your page ranking. Your website will be heavily disadvantaged if it is not responsive to different devices and screen sizes. You will also be penalized for poor loading speeds and poor site navigation (leads to high bounce rates too). So add to your to-do-list to make your site mobile-friendly, check your hosting for speed and get a WebMaster account on Google and Bing, to submit your sitemap. Try these Free Tools: Page Speed Testing, Mobile-Friendliness. If you like most small businesses use WordPress as your CMS, a very useful plugin is SEO Yoast, which helps you to optimize pages and posts. 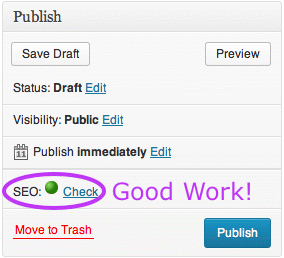 It gives you a “green” light if your post or page is optimized. Starting with the URL Permalink: the keyword should ideally be part of the URL. Put the keyword in the Title of the page if it appears should be natural and not forced. The use of <h1>, <h2> … sub-header tags is a minor advantage, and should be used logically. The keyword should not appear unnaturally in all sub-headers. While the Keywords should appear in the article, there is no fixed rule for how many times it should appear a.k.a. “Keyword Density.” In fact over-using the keyword may lead to penalties. According to an expert I consulted, Google may also compare it with “similar” businesses to check for a usual ratio of keywords. Lastly, while the meta Description does not affect ranking, it does affect conversion (meaning higher chance someone would click your search result than others). For example, we recently discovered that our welcome gate which gives away an ebook became our default website description. This would not help in converting someone searching for “Infusionsoft Singapore” our targeted keyword. which gives a clearer call to action: our telephone number and the relevant information, the prospect may be searching for. Google is moving towards quality content instead of quantity when determining page ranking. Spending more time to write good quality stuff that your potential customers want to know about, reduces the bounce rate (increasing experience), increases retention, as well as attracts more people to SHARE your articles. Since you invested so much into content, you should then create different versions of it: podcasts, videos, transcriptions, infographics, PDFs, slides etc, and then post it on SlideShare, Scribd, Podcasting sites, Video-sharing sites, Infographics Directories (10 places to submit your infographics) and social sites (Facebook, Twitter, Linkedin, Pinterest, Instagram etc). Remember to point it back to your site (backlinks). Other good (off-page) strategies to distribute your content are guest blogging (like this one), forums that are relevant (example: commenting in personal style magazines forums for hair-care professionals), and selected article directories.